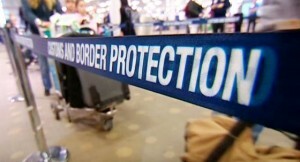 The Department of Home Affairs is set to receive $99.2 million from the Coalition government to strengthen its visa risk assessment system. The Coalition has agreed upon the budget to fund a more enhanced immigration risk system that will give immigration staff a more detailed information of the visa applicants migrating to Australia from Singapore or from any country across the world. This would also be helpful in preventing threats to the entire community. In a national security conference held on the 11th of May 2016, Minister for Immigration and Border Protection, Peter Dutton, said that the improvements on the system is designed to further prevent criminals and terrorists from reaching Australia’s borders. “Decision-makers need to have the tools to take a closer look at the travellers’ broader criminal and security risk,” Mr. Dutton said. He also added that the $99.2 million budget would enable the immigration department to identify risks at the visa application stage and better assess threats to the Australian community. Apart from the plan of strengthening visa risk assessment system, Mr. Dutton also said that the rollout of 92 SmartGates, which is designed to boost counter-terrorism measures, is soon to be completed in the coming weeks.